The pipe had been secured from grab/other mechanical damage by a cover plate, see figures below. The leak was discovered in time to provide temporary measures to stop the leak until permanent repairs could be carried out in port. Photo above: Cargo hold view. Photo above: Pitted side plating behind cover plate. 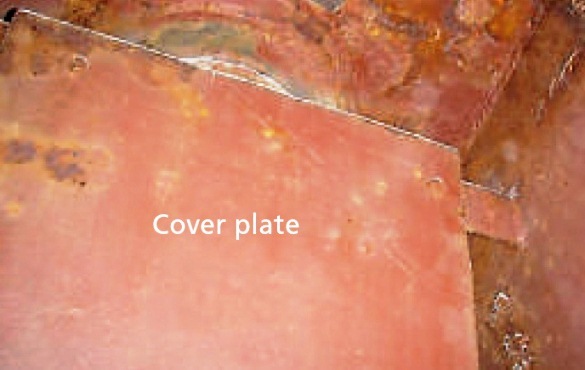 Photo above: Cover plate for protection of pipe. The corroded/pitted/cracked area of the side shell behind the cover plate was permanently repaired by using an insert plate. 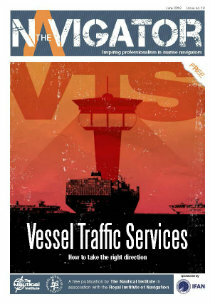 The repair was made whilst the vessel was afloat and in port. The probable cause of the incident was found to be lack of maintenance of the side shell behind the cover plate, which over time resulted in coating break down, pitting and cracks/holes in the shell plate in that area. All cargo holds had recently been subject to maintenance, but only the cargo hold no. 4. (ballast hold) was in need of repair, it being frequently used for ballast water. Cover plates for pipes etc. are to be removed for inspection and evaluation at regular intervals. 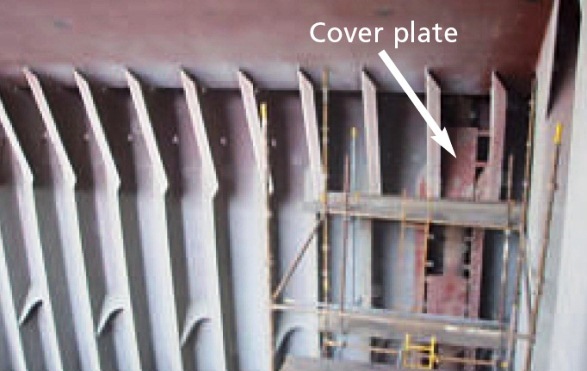 Cargo hold(s) also used as ballast hold need particular follow up in order to prevent serious corrosion/pitting. 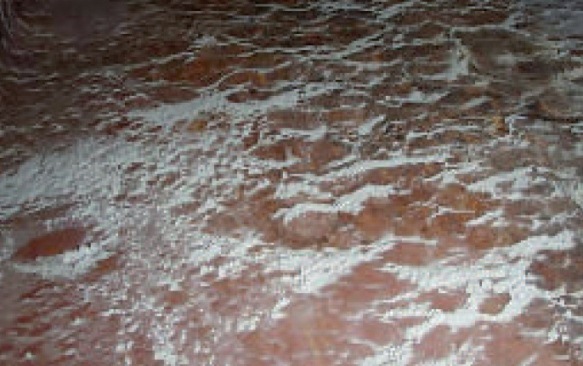 Coating is to be applied according to manufacturer’s recommendation. Proper coating and maintenance of areas as mentioned above will prevent corrosion/pitting and possible cracking as a consequence of that. Corrosion/pitting is important to look for during routine inspections, also including frame spaces for pipes behind cover plates connecting different ballast tanks. The hull inspection and maintenance system on board should also focus on areas behind cover plates, if such spaces are not already clearly identified for special attention during regular inspection.